New York City, July 7, 2015—Colibri Group (www.colibri.com) and Arturo Fuente Cigar Company (www.arturofuente.com) are happy to announce a special project to benefit the Cigar Family Charitable Foundation (www.cf-cf.org). 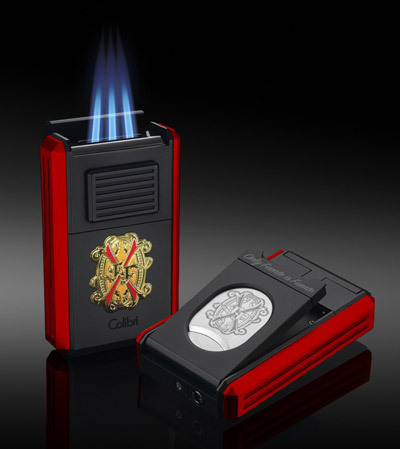 Colibri will produce a limited-edition Fuente Fuente Opus X series of the Colibri Astoria triple-flame cigar lighter. ”It was a true pleasure to work with Les Mann, and our extended family at Colibri. They have been amazing to work with, and so generous to the Children of the Cigar Family Charitable Foundation. I thank you,” says Liana Fuente, Creative Marketing Director for the Fuente companies and fourth-generation member of the Arturo Fuente cigar family. The limited edition Colibri Astoria for Opus X is produced in five finishes: black+red; black+gunmetal; black + rose; red + black; red+gold. The OpusX medallion on the front is fabricated separately, flash plated in gold and formed to fit into the body of the lighter. 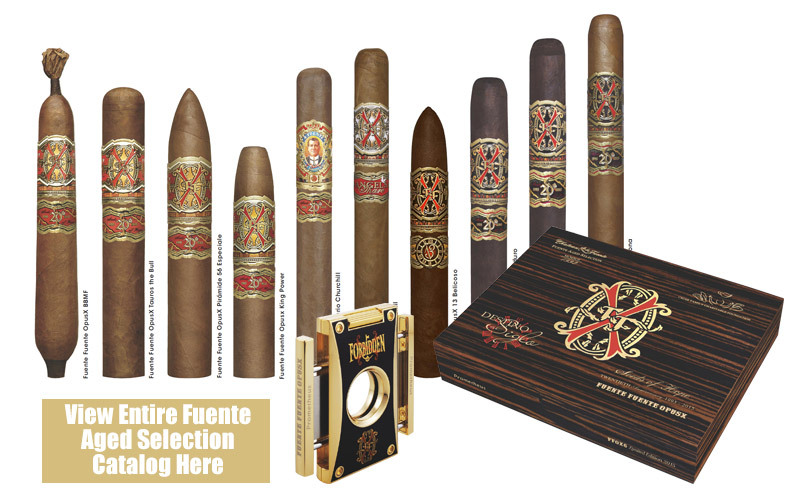 On the back, the OpusX logo is laser engraved onto cutter blade, and the quote all cigar aficionados the world over know, “Only Fuente is Fuente”, is laser engraved onto blade handle. Each lighter is numbered and ships in a custom luxury gift box. Colibri will produce 250 of each finish for the US. They will ship this fall. Suggested retail is $185.